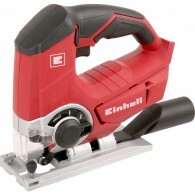 The Einhell TE-AG230 Angle Grinder is an affordable performance driven DIY tool. 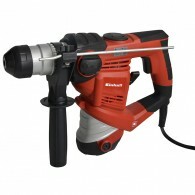 The soft start facility ensures this powerful angle grinder provides a comfortable start up for users, which eases into a robust and powerful grinding performance over a short period of time. This provides added safety .. The Einhell TE-AG 18LI Power X-Change Angle Grinder is a very handy, compact tool and is the lightest angle grinder of its class. It has a robust aluminium gear housing and a very smooth operation thanks to separation of motor and gearing. The soft-start function and restart safeguard make it saf.. 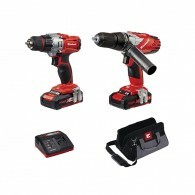 The Einhell Power-X-Change Combi & Drill Driver Twin Pack, contains the following: 1 x 18 Volt Power-X-Change Charger that features a 6-step charging condition display and is ready for wall-fastening. The charger uses an intelligent charging-management-system for long battery life.. The Einhell RT-RH32 SDS Plus 3 Function Rotary Hammer Drill is fitted with a safety clutch and has a single, variable speed. 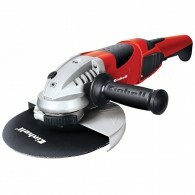 It has plenty of power for drilling and chisel work, even in concrete. The vibration-absorbing handle and special grip structure of the secondary handle make for virtually vib.. The Einhell THRH9001 SDS Plus Rotary Hammer Drill with pneumatic hammer action is a versatile powerhouse which provides good service to ambitious DIY enthusiasts on building, renovation and chiseling jobs everywhere in the home. 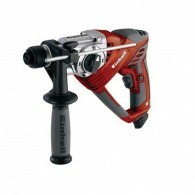 It is equipped with three functions for universal use: Drilling, Hammer.. The Einhell TE-AG 115/600 115mm Angle Grinder is ideal for a wide range of cutting, grinding and roughing jobs everywhere in the home, workshop and garage. Fitted with a no-tool wheel guard with quick-adjust facility, can be adapted with just a twist of the hand to any task and a spindle stop for ea.. Body only Jigsaw. 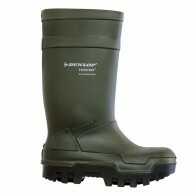 Can be used with any Einhell Power X-Change battery. • Keyless blade change system • Max cut: Wood 80mm. • No load speed: 0-2,400spm. • Stroke height: 24mm. Body only, no charger, batteries, blade or case. As a member of the one battery fits all .. 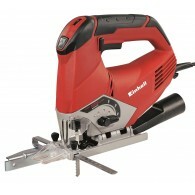 The Einhell TE-JS 100 Red Electronic Jigsaw is a powerful model for ambitious sawing jobs on any material. It has adjustable pendulum stroke with 4 settings and blade speed electronics. The blades can be changed without tools, permitting the use of T- and U-shaft blades and saving valuable time. ..